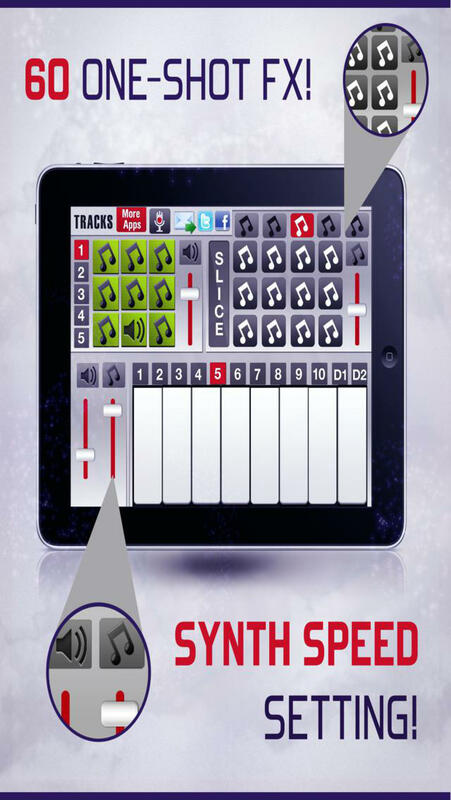 DubStep arrives in style on your iPhone, iPad & iPod Touch with Dubstyler Lite! Featuring gorgeous retina graphics and full screen support for the latest iPhone & iPad devices! Use Slice Effect to cut and stutter the samples from the One-Shot FX Bank! Had enough sounds yet? No we didn’t think so! So why not enjoy 10 different keyboard sounds to use with the built in synthesizer! Plus 2 Drum banks D1 & D2 which allow you to create drum beats using the keyboard! Featuring inbuilt recording facility why not record your best beats down and play them back to your friends and show off to see who can create the best, bass pumping, beat flyin’ melodies! It’s here, it’s now, Dubstyle lets go!